Collaboration, by definition, means to work together with others on a project or endeavor; to cooperate for a mutual cause or end. Dance, by nature, is a collaboration between artistsat its base is choreographer and dancer. The relationship between the choreographer and the dancer varies with every work. Some choreographers set steps on the dancer, telling them what to do and how to execute. Others take a more collaborative approach asking the dancer to make choices that aid in the progressive creation of the piece. It is the latter approach where magic can happen, that ideal moment when artistic goals and ideas come together in a brilliant fusion of beauty, grace and talent. This month, the Joffrey Ballet takes the stage in 10 performances of Spring Desire, a program of three neoclassical works representing different eras of romance and relationships. It is the new work by San Francisco-based choreographer Val Caniparoli, a true collaboration by any definition, that is the centerpiece of the show. Caniparoli started dancing at age 20 ( after claiming he was 17, thereby receiving a Ford Foundation scholarship ) and eventually joined the San Francisco Ballet in 1973. Today, at 60, he is still performing with the company. Along the way, he began to make dances for Bay Area schools; now, 35 companies perform his choreography across the globe. 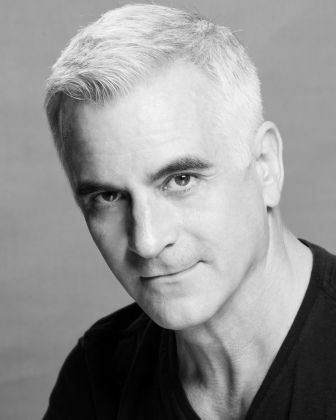 Although this is the first time creating a work for the Joffrey dancers, he has worked with some of the dancers before. In 2009, Joffrey Artistic Director Ashley Wheater asked his friend and former co-worker at San Francisco Ballet ( Caniparoli ) to come set one of his pieces on a specific dancer. Matthew Adamczyk had the honor of performing the solo "Aria" at the company's annual gala as well as that year's Dance For Life benefit, launching a fruitful artistic relationship and a friendship. "It was a great honor for me," said Adamczyk. "It was an amazing experience. Even though hundreds of gentlemen had performed this solo, he wanted me to make it my own." Adamczyk, now a nine-season Joffrey veteran, is also an established local artist ( Article Link Here ) . He lives in Andersonville with his partner of six years. He is performing another of Caniparoli's works at this year's gala ( information below ) . Since they worked so well together previously, it was an easy choice to cast Adamczyk for the new premiere. "He's committed," Caniparoli said. "He's there for you, but not afraid to speak up. Matt is a very collaborative artist and is versatile. He's indicative of the company." The new work, Incantations, is a 27-minute abstract dance for 10 dancersfive men and five womenset to a score of the same title by Russian minimalist composer Alexandre Rabinovitch-Barakovsky. The process of creating each new dance work is different, but Caniparoli prefers to be inspired by the music. "I have a large collection of music," he said. "I still have CDs from years ago. I like using composers that aren't being done to death. I just happened to pull this out andbam!I thought, 'This is it!'" The music and the movement have one continuous arc reflecting the spiritual quality of a prayer. The zen-like spirals in the choreography, sets and costumes ( Sandra Woodall ) and lighting design ( Lucy Carter ) can be deceptive. "The dancing is non-stop," said Adamczyk. "It's like being shot out of a cannon." While Caniparoli is providing the direction and steps, he relies on the dancers to help form the work. What people will see on the stage is a direct result of the collaborative effort with these Joffrey dancers. He created it for and on them. "When they feel part of the process they take ownership," he said. "The result is from the studio. I'm inspired by the dancers in the room, so let's see what they can do." It is this openness to input that earns him the respect and trust of the dancers. Adamczyk thinks this way of working is ideal: "Inevitably, we are the ones on stage. We need to be comfortable with what we do. This collaboration was a lot about exploration and is why the piece is still growing and changing. I think it will continue to grow for a long time. We'll always find something new to add to make it more daring." Also on the program is Edwaard Liang's Age of Innocence, inspired by the novels of Jane Austin and Jerome Robbins In the Night, set to Chopin's piano nocturnes. Joffrey Ballet presents Spring Desire at the Auditorium Theatre at Roosevelt University, 50 E. Congress Pkwy., Wed., April 25-Sunday, May 6. Performance times vary. For more information visit Article Link Here . Tickets are $25-$149; call 800-982-2787 or visit Article Link Here . Tickets are also available at the Joffrey Tower Box Office, 10 E. Randolph St. The women's board of the Joffrey Ballet celebrates its 10th anniversary by hosting an celebration gala. Evening attire is required for the pre-performance event. It will take place Sunday, May 6, at 6:30 p.m. at the Auditorium Theatre, 50 E. Congress Pkwy. Tickets are $95-$600; call 312-386-8921 or email gala@joffrey.org . For a full list of April performances, check out the spring dance preview in the March 21 issue of Windy City Times. Vicki Crain also writes a Chicago-based dance blog at Article Link Here .